The Canadian Cancer Society is a national community-based organization of volunteers whose mission is the eradication of cancer and the enhancement of the quality of life for people living with cancer. Through various campaigns, such as Daffodil Month’s pins and canvassing underway in April, and other successful events like Slopes for Hope held in Rossland and Nelson, the local chapter works to raise funds and awareness to help people living with cancer. Money raised allows the Society to fight all cancers by investing in the best cancer research, influencing change through advocacy efforts to create healthier environments and providing a range of support programs to local people living with cancer, including family members and caregivers. 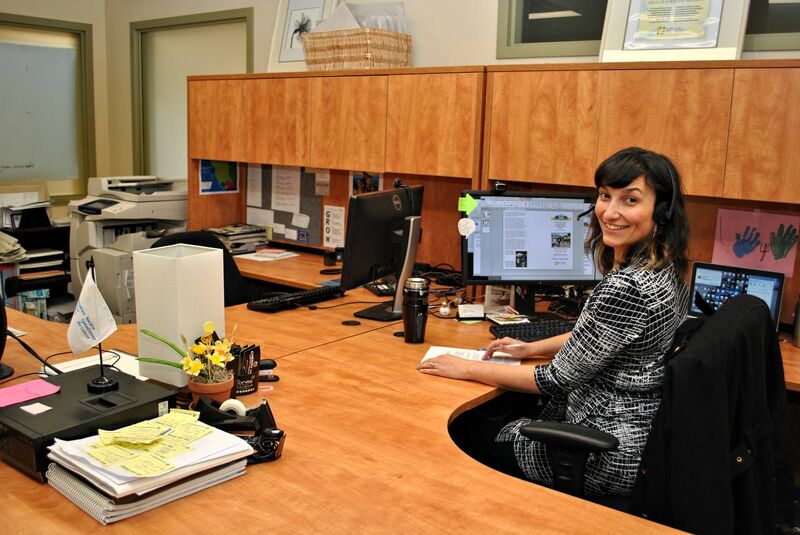 The Canadian Cancer Society’s regional office in Trail provides a number of supportive avenues. CancerConnection matches an individual with a volunteer who has lived through a similar cancer experience, including the type of cancer and the course of treatment, while the office, located at Suite 15, 825 Spokane St., also carries wigs for individuals who’ve lost their hair through chemotherapy treatment. To volunteer or find out more about the Society, contact West Kootenay Annual Giving Coordinator Valerie Rossi at vrossi@bc.cancer.ca. To make a donation, visit www.cancer.ca or stop in at the Trail office. GCM CONSULTANTS: The South Kootenay Business Centre is nicely located and is a very good facility for us to work out of. As a Montreal based company opening our first office in British Columbia it was important to find a professional facility at a reasonable price. The (SKBC) staff is very responsive to our needs. Our new office set-up went fast and efficiently. They even helped setup our virtual private network communications system. Yes, GCM would recommend the South Kootenay Business Centre to companies thinking of doing business in the region. KRK Designs Inc. I moved into the SKBC because it was a perfect fit for my small business needs. I am the only employee and my business does not have a lot of overhead. I needed a space to work from that was clean, comfortable, secure and affordable. The offices are fully furnished, so all you have to do is move in and you are ready to go. The layout of the centre is great, and high speed internet is included. SKBC fit my needs. I would recommend the SKBC to new businesses that need a professional environment to work from. Staff are very helpful and professional, and they have the resources needed to help start-ups in their new business venture. They can help with anything from a business plan to looking into financing options to get your business going. Their goal is to help you to succeed in business. Kathleen Plaa: SKBC was a great way to start a new business – removing the worry of buying furniture for an office that was in transition. There were no decorating worries – the centre is new, clean and decorated with taste and professionalism. View Full Letter.